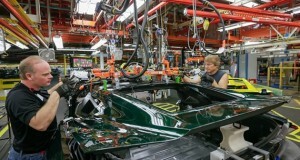 GM paint shop reaches milestone - MacMulkin Corvette - 2nd Largest Corvette Dealer in the World! 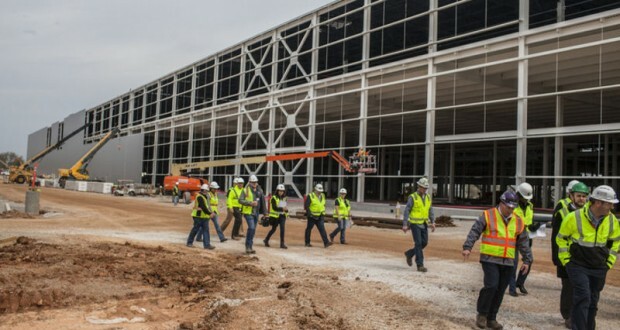 The General Motors Bowling Green Assembly Plant marked a milestone Wednesday in the construction of its $439 million paint shop with the installation of the final piece of steel in the building. 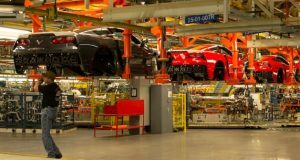 The state-of-the-art facility is being built adjacent to the plant where GM’s iconic Corvettes are made. The “topping off” ceremony featured a steel I-beam being raised to the top of the three-story building and bolted down. The beam had been signed by many construction workers and staff before being hoisted aloft by a construction crane. Groundbreaking for the facility came in September and first piece of steel was placed in December. Still to be installed is the actual painting equipment, Roberts said. 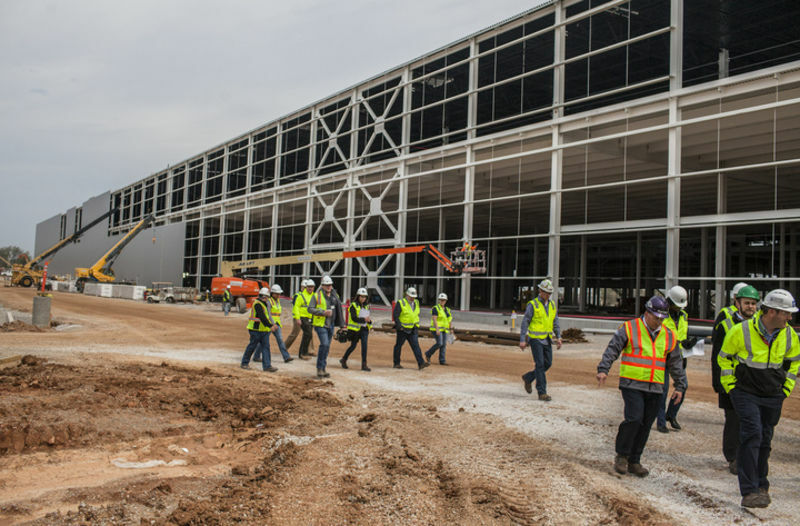 When that process starts, the number of workers on site will swell from the current 200 to just under 600, he said. 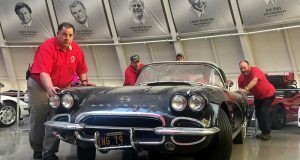 Next: Available: Exquisite 1996 Corvette LT4 – Only 9,534 Miles!